When my children were very small I taught them how to meditate with gemstones. We used to sit together on my bed, with a bunch of different crystals piled in front of us, from which we would each choose one to hold. At the time I felt that lively children, who can't sit still for too long, would benefit more from meditation if they had something to focus on, instead of simply trying to sit still and "clear their minds"! Today, I still feel it helps to meditate with something to focus on - not just for children, but everyone. I still like to hold a gemstone to gaze into when meditating. The healing energies of the stone help to uplift me, whilst being calming, and while I'm gazing into the patterns of the crystal, and feeling its shape in my hands, my mind is cleared of anything else. Sometimes the crystal I'm holding will tell me a story and sometimes it will simply show me its patterns. However, it ALWAYS takes me into a place of stillness and calmness, which is what meditation is all about. 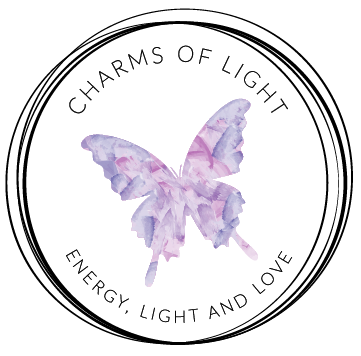 Many years on, from teaching my children how to meditate with gemstones and crystals, I'm very excited to offer you another healing tool. My son and I have been working with individual gemstones and incorporating their healing energies into special crystal gemstone meditation music. These recordings capture the specific energies of individual gemstones that will enhance your gemstone meditation and bring additional healing. Whether you like to hold a gemstone while meditating, or not, these crystal gemstone meditations will help to fill your senses with calm and healing.